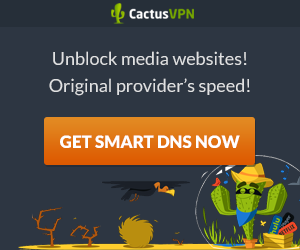 Those who are aware of the importance of professional, top rated and best VPN Service Providers and want a one that will truly ensure their Internet Privacy and anonymity to a possible supreme extent, always at first try to make a research whether or not the very VPN provider keeps user’s any identifiable logs that are generally calculated to match any specific user in the service. Why? The easy answer is that if a VPN provider keeps no log-files of a user in anywhere of their VPN Servers and network system, then it means neither the VPN provider itself nor any third party knows or will be able to identify the identity and activities of that user in any way and definitely it insures a supreme INTERNET privacy of that user, indeed. And this type of utmost privacy becomes essential for the user (like Journalist, News Reporter or Blogger etc) who wants to uphold, in front of the society, the truth and unveil the mask of any crime or deceptive conspiracy committed or plotted by/with the help of any powerful entities or organizations (like bad government, bad enforcement agencies, bad Spying agencies, bad influential people in the society etc). Reason simply is that if, in these types of situations, these powerful entities or organizations are able to identify who is trying to uphold their crime or deceptive conspiracy in front of the society, then they will surely try their best to find him/her out and take him in their grip to make a full-stop over his movement or journey forever. And probably you can somewhat imagine about how much physical, mental or financial harassment and torture s/he may face from those bad organizations. They do not store or monitor logs of time-stamps when user connects to or disconnects from VPN tunnel. They do not store or monitor user’s INTERNET activity logs; meaning what user does in the internet when using their VPN services. If even any powerful organization like any government or enforcement agency seize, by power, any server or capture Network system of these VPN providers to find out any user’s identity, they’ll never be able to do that, as No identifiable Logs simply exist in anywhere of their VPN gateway servers or network system that can be matched with any user’s account or activity. Note: All visitors of this website who would like to purchase any VPN-service from the above list Best logless VPNs should follow the codes of humanity & rights and completely avoid all forms of criminal or offensive activities which might harm any human being or destroy human rights of any kind. For example: none should use these VPNs for implementing any kind of terrorist activity, hacking others properties or copyright things, theft, robbery etc. If anyone is directly or indirectly involved in such activities by using the VPN-services from the above list Best Logless VPNs, s/he will be liable for her/his offense/crime.